The entire Viking world has gone mad. All the fighting and bloody stuff come to you as a player. Only with proper planning, tactics, and careful small steps can you win in the game of Nord. 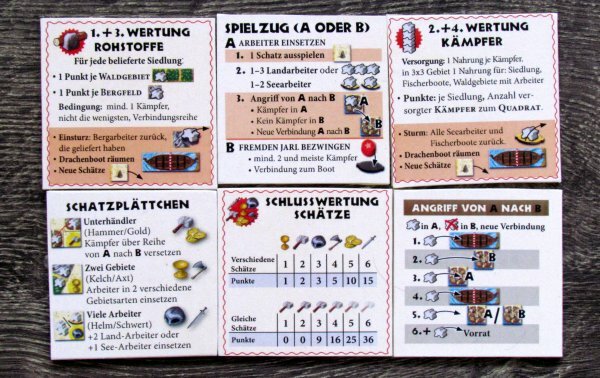 It was created by Roland Goslar and Johannes Goslar (Kronberger Spiele) with graphics by Christof Tisch. They decided to ask Spieleschmiede server for support with the release and through them also players. And thanks to close cooperation with this German platform, we can present this game to you already now, so you can imagine, what can you get for your money. Although we had only a prototype of the upcoming game on our table, its processing already suggests, how the final product might look like. And this preview version looks really nice. 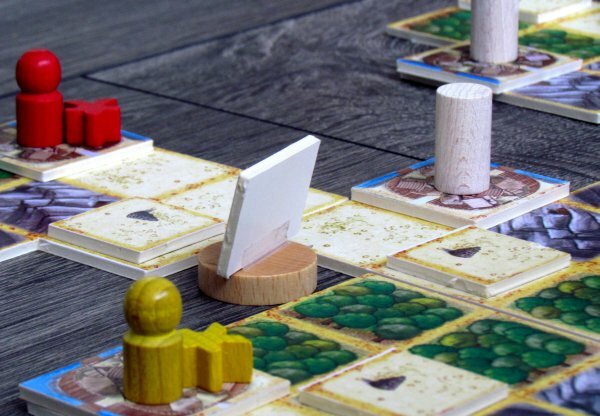 A pile of tiles, nice wooden figurines and thick cardboard components. Nothing’s missing. 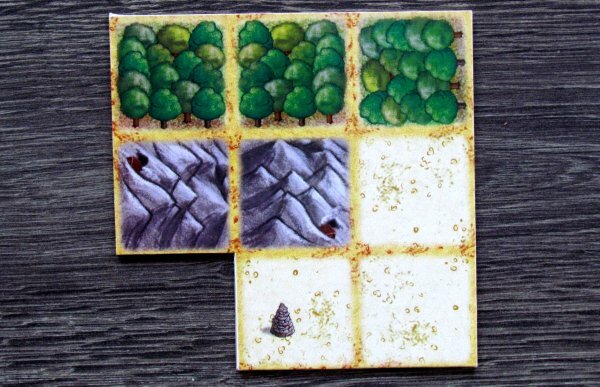 But Nord game is much more complex, than components might suggest. They need really intensive thinking and rules themselves have thirteen pages! We will not describe them in detail, but we will try to outline, how it all plays. 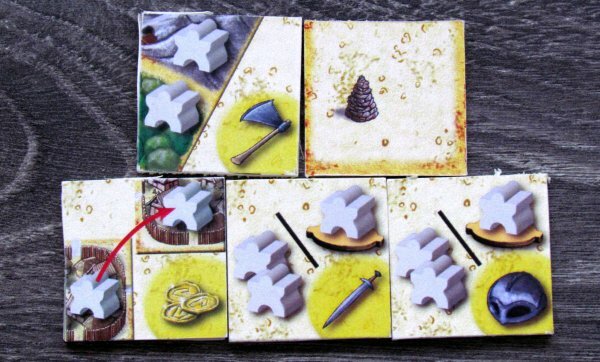 At the start, players build a game board from prepared pieces measuring three by three squares. 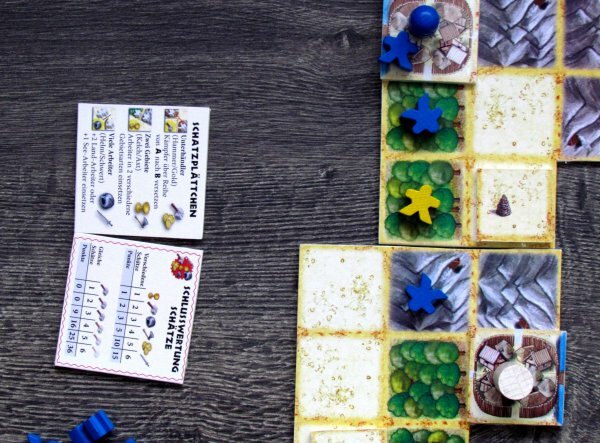 Their disposition is different every time, increasing variability of whole game, but each board contains space for one city piece city and also one treasure. 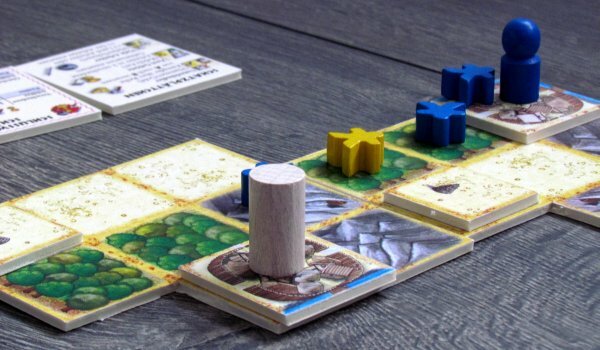 In addition, player choose a color, take their wooden meeples and places one as fighter into selected city together with Jarl pawn. Other cities will be occupied by neutral commanders. 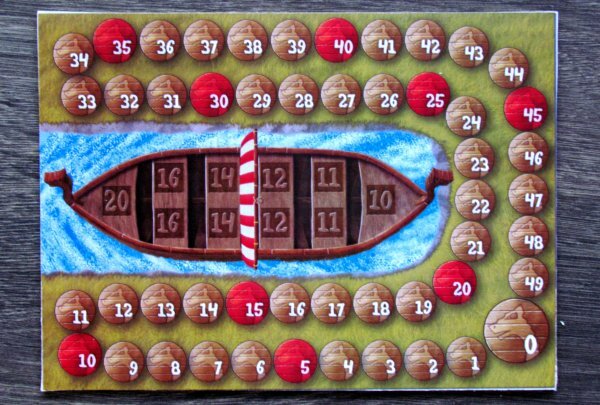 In addition to game board, a dragon boat will be in the middle. In his turn, player has two choices. The much more frequent and more used is deployment of new workers to board. 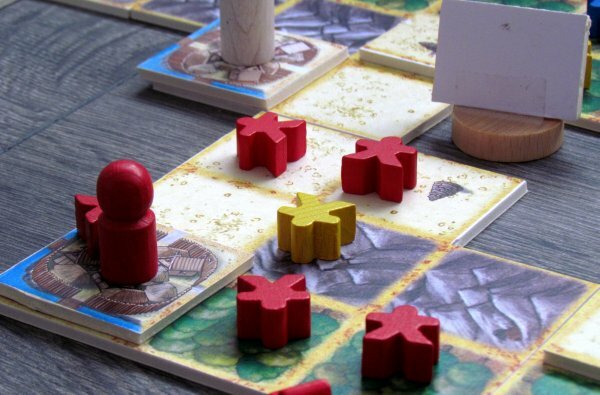 Meeples look the same, whether they are holding a sword (warrior) or shovel (worker) and differ only by location. While warrior is hiding behind gates of the city, tough worker can be found on field of any of available types: desert, forest or rocks, but he also can work on ship. 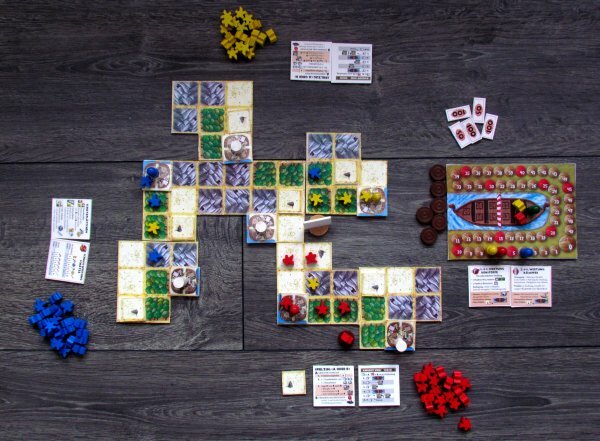 By sending a new worker (it can be added only to already existing line of meeples, therefore players are always starting from the city), players are gradually connecting cities, for whose supremacy can they fight. Lines are valid even regardless of color of those pawns and that is also, why there can be only one character on each field outside city. 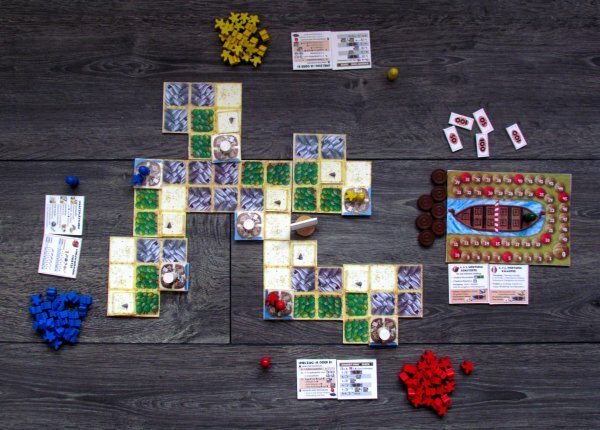 Once a new connection is made and other minor conditions are met, player moves first of his workers from the road to dragon ship (he heroically dies and goes to Valhalla), while the second becomes a fighter in conquested city. This changes influence of players and gains presence for them in that target city. This presence is important, when scoring happens. 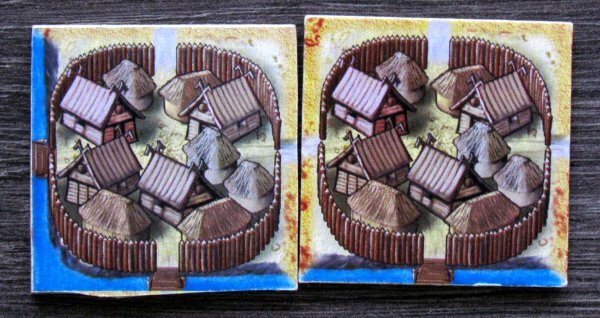 Is two rounds, players get points for occupied land and in other two for cities under their dominion. At the same time, it is also necessary to feed all their people. One food is produced per space. 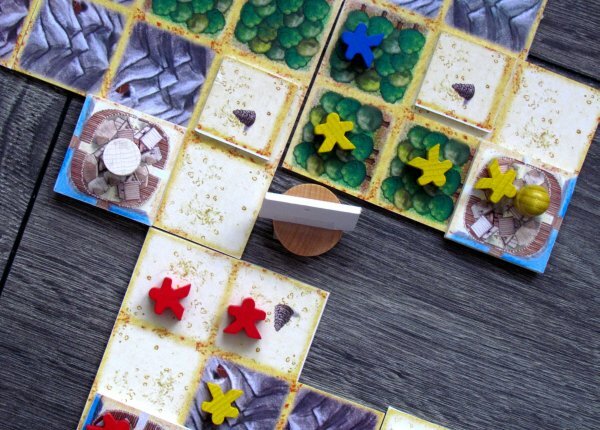 Each turn after scoring, treasures tiles are supplied. 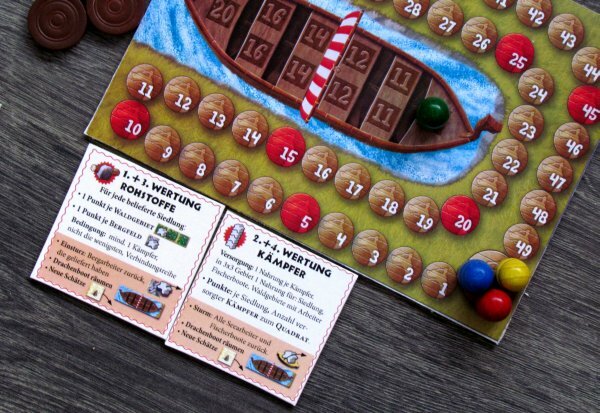 Players are collecting them throughout the game with their workers and they can be used for actions in the game or kept for big point value at the end. Game ends after fourth scoring (two of each kind). 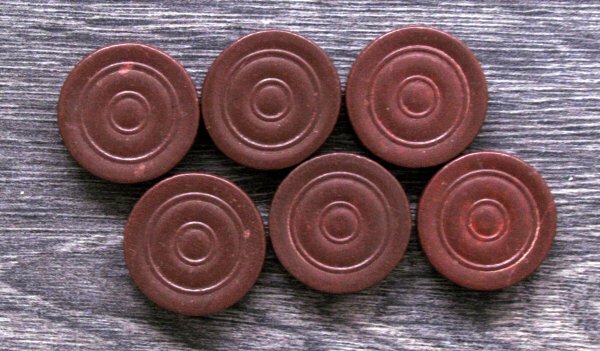 These are executed every time, when dragon boat in the middle is filled with dead. In addition to workers, there can be also Jarls in them, if players use the second, less common action, and attacks enemy Jarl with his army located in the same city. Winner after a final bonus reward is player, who has accumulated the most points. 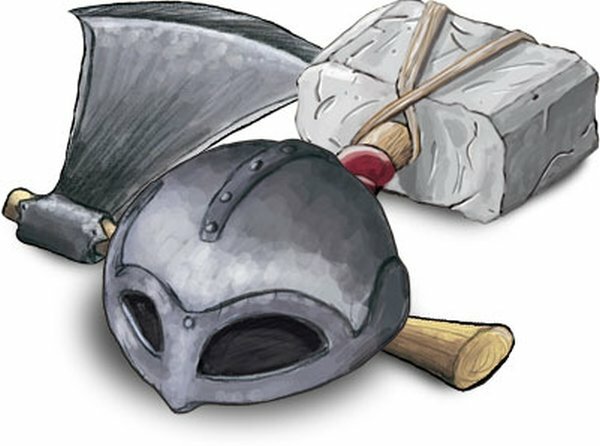 Nord is very comprehensive and thoughtful game, which primarily takes very original approach. Some mechanisms are not clear at first sight (which is why the rules are so long) and many have different conditions. That is a price for Nord being very original and also having significantly different feel, than the other euro games. Fortunately with all this, players get help by cheating cards. This is a game completely without luck. In two, there is much less interaction, than in bigger numers despite the fact, that with number of participants size of the board changes too. The game is fun also in two, because both players have always something to do and worry less about the lack of interaction. Only true complaint thus seeks to theoretical possibility, that players will think about their turns for too long. There is simply so much possibilities to play a piece, that we can call it analysis paralysis game. But even so, everything will be finished in one hour. Game provides a unique way to connecting cities. Once a new connection is set, players can attack and further develop their estate. But it is important to watch out for so many things, that less experienced boardgames will find it simply too much. And it is also not easy to watch out for new connections, while it allows for nice combos. 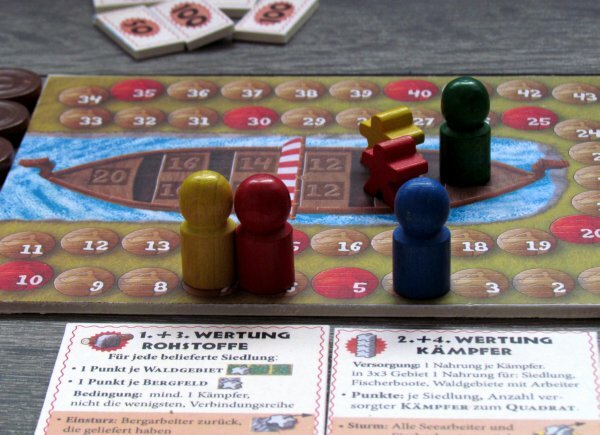 In addition, different layout of the board ensures, that each match will be different enough. 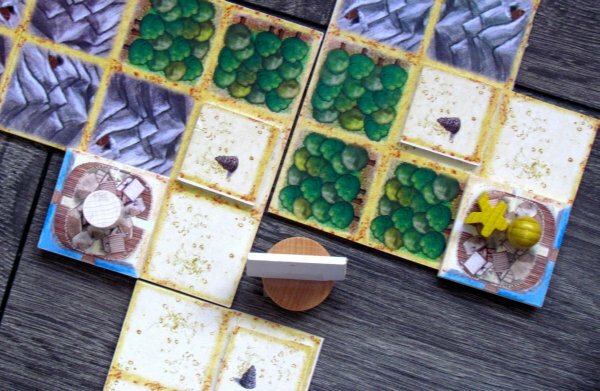 Nord is a mature euro game, that has an unusually complex rules, but offers a very interesting take on traditional game type. Although there is almost only one action, players have many opportunities to earn points and plan ahead. And that’s why we like Nord so much. So if you love complex games, yet you do not mind thoughtful strategies, then you definitely will not regret supporting its campaign. One copy will cost you € 39.